This example uses a number of power chords, which should be played from the 6th or 5th string. Find the root noteFor a chord or scale, this is often both the lowest note in the chord, and also the note to which all other notes in the structure are compared. For a scale, this term is essentially synonymous with the tonal center. and play it on either string, then form a power chord from that note. 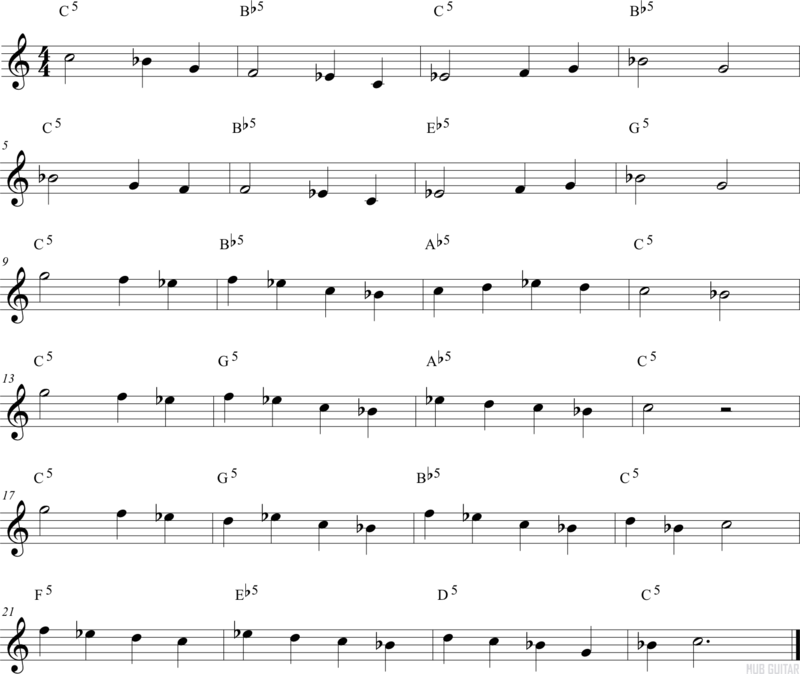 This melody consists of mostly quarter notes. There are a number of accidentalAny named note whose pitch is modified by a sharp (♯) or flat (♭) symbol. This even includes notes that are returned to a non-sharp or non-flat by the natural symbol (♮).s as well, so take care in finding the correct notes on your guitar.